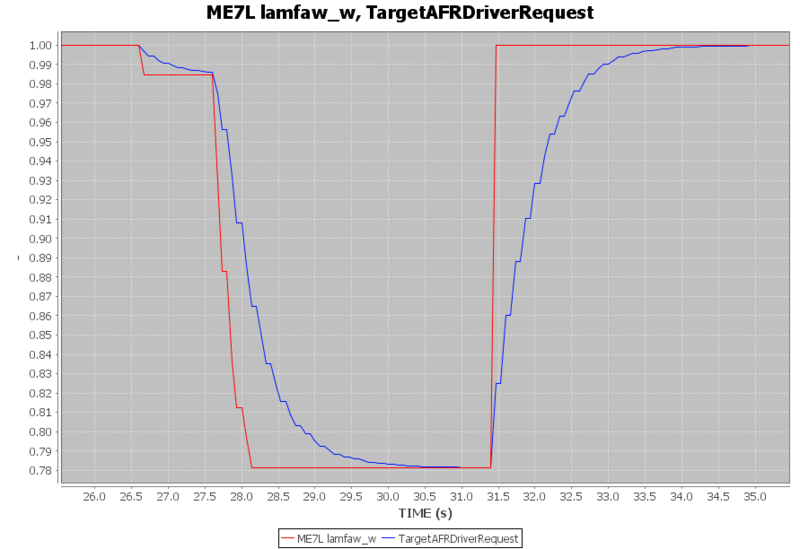 Anybody see any harm in significantly reducing (or zeroing) ZKLAMFAW? I don't see a problem with reducing/zeroing it. hmm.. my ZKLAMFAW sais 13107 seconds.. id assume this means deactivated? I'm pretty sure zero would be deactivated and that it is CPU time not seconds. hmm.. funktionsrahmen tells me it is a time-constant and that the default value should be "2 s", which is where i got seconds..
ZKLAMFAW located at 1CF8C, 16bit(LoHi), but i have no conversion for this value.. should there be one, or is my definition wrong here? this is a wideband me 7.5 ecu, but i think this constant should still apply? This value is supposedly 2.000 seconds but we all obviously see 13107 and nobody has found a correct conversion. Not to worry, math dude here to save the day. Don't fret. 13107 / (2^16 - 1) = .20 So, we are off by a factor of 10. What boxes use CWLAMFAW=1 by default? We should look for our ZKLAMFAW from such a default box as seen from the factory. I was way off before. Doc Brown does maf real gud. I think it's pretty bad for fuel economy. 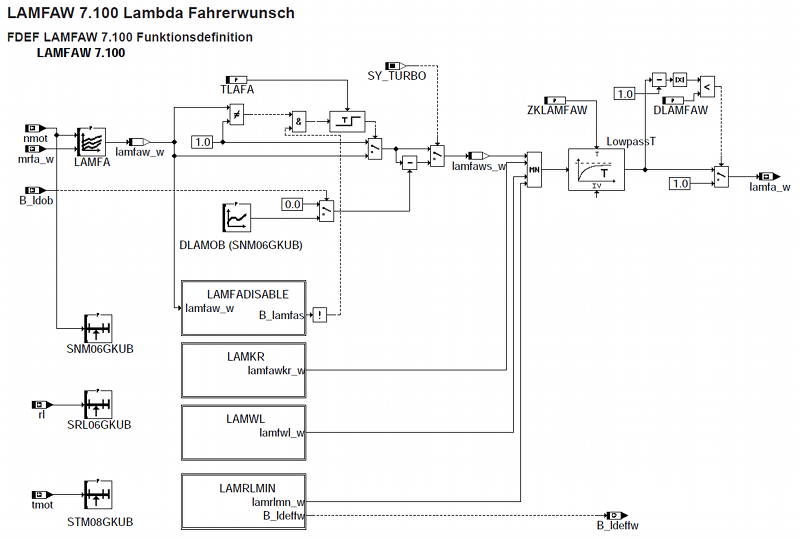 Only place where you want enrichment through LAMFA is WOT really, run rest at lambda=1 and set BTS correctly so it takes care of EGT's at 3/4 throttle for example. Otherwise you will just have horrid fuel economy, even when driving normally. Mainly this is used to prevent enrichment in the emission test with drivers that have a nervous foot. Only downside is that you may have a bit higher fuel consumtion if you have a digital driving style. I modify the 80 and 100% columns to ~13:1 and ~12:1 respectively. Wideband and fuel gauge confirm it only works when needed.